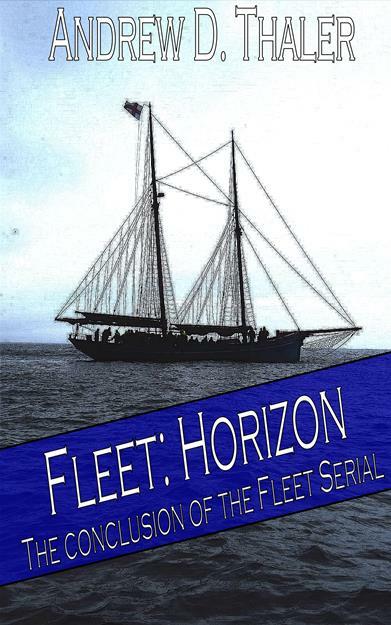 Just in time for your Thanksgiving travels, Fleet: Horizon, the dramatic conclusion to the Fleet serial, has arrived a few days early! Head on over to the Amazon Kindle Store and check it out! As always, if you’re new to Fleet, please visit my Amazon author’s page to find the previous 3 installments. Enjoy! Fleet: Wide Open now available in the Amazon Kindle Store! Check out the cover for Fleet: Dereliction, part 3 of my maritime science fiction serial! Check out Fleet: Dereliction, part 3 of my maritime science fiction serial!